Hello lovelies, so the lovely team at Phoenix trading very kindly sent us a bundle of goodies for us to review, I'm so glad they did as I wasn't aware of them before and now I want so many things on their website! 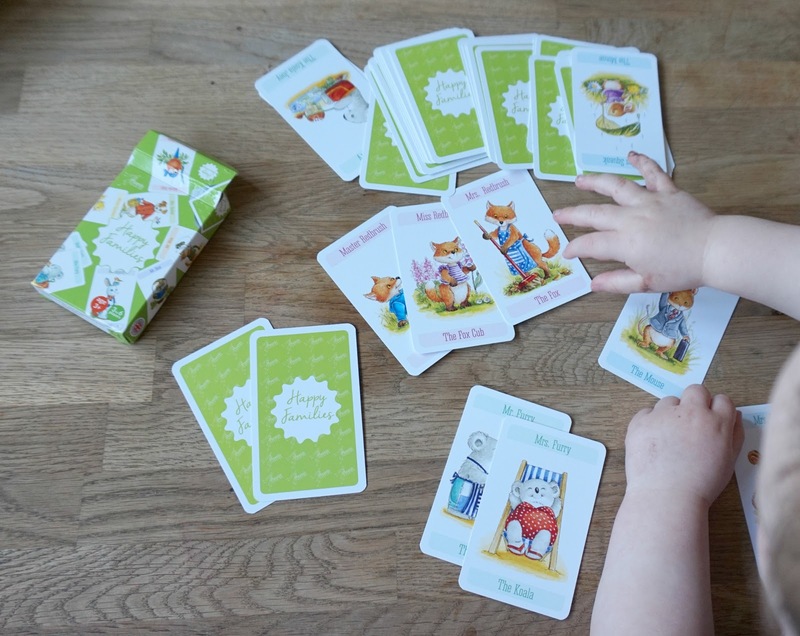 First up I'll show you this adorable domino set, how gorgeous are those illustrations? 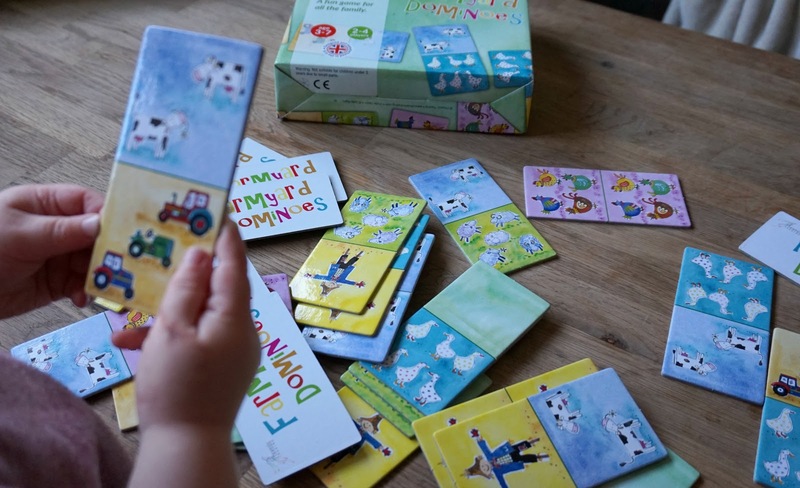 They look like they've been watercolour painted so pretty, bright and I love that the dominoes are larger than normal ones so it's great for little hands to hold and can see clearly. 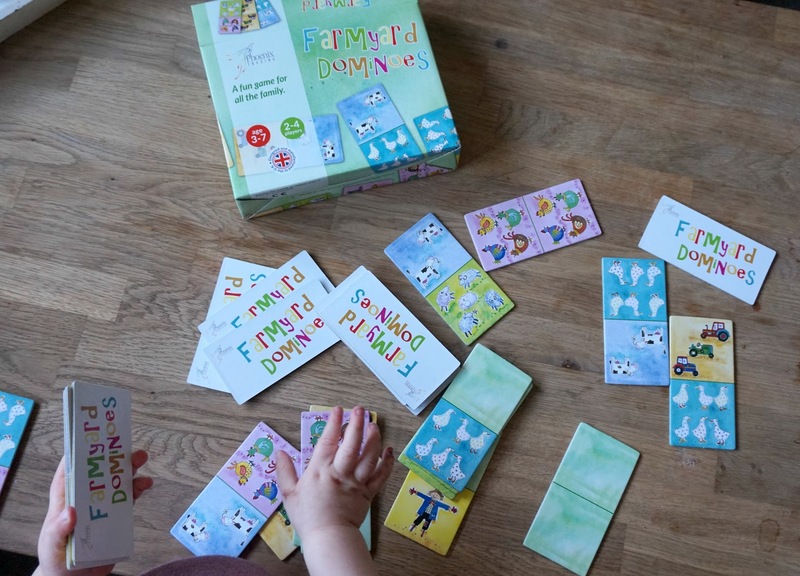 We have had so much fun with the farm yard dominoes game, we have an hour of play before bed time and this is Oscar's favourite at the minute, we set it up on the coffee table and have a few games. It's great for Lawson too to show him all the animals and creating the animal noises with him, I think he loves the bright colours also. You can get these dominoes here on the Phoenix Trading website. They also sent us this adorable Happy families playing card game, again the illustrations are just so beautiful, I have never seen such gorgeous items than I have from this website, it's so rare to find. This game is aimed at older children so although Oscar struggled to start with he got into it pretty quickly, we loved matching the families together and Oscar loved when he got all four together, so basically you give out all the cards and there are 10 families in the pack, you have to get four families of four all together to win, I won the first few times but as Oscar got more used to it he started winning more, were both competitive though. Again Lawson couldn't really join in with us on this game but he loved the pretty pictures on the cards and I told him what the animals where. You can purchase these cards here, they are so affordable for how beautiful they are. 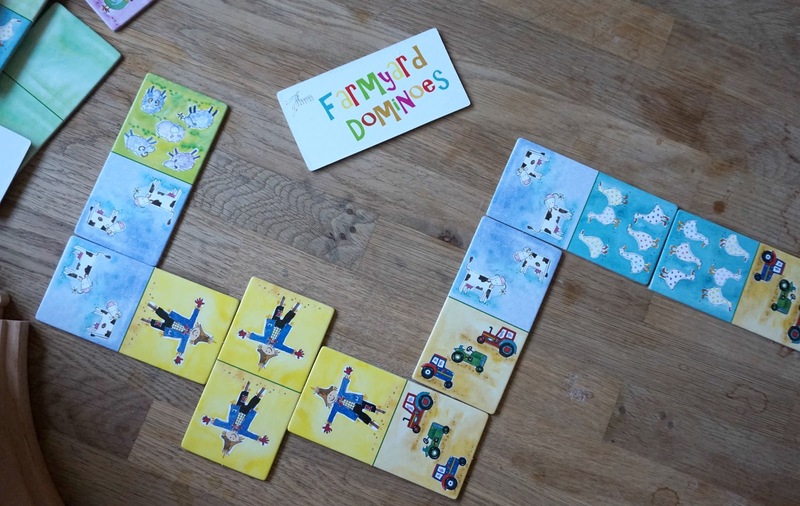 The easter holidays are coming up and I'm so glad we have new games to play with and were going to take the dominoes with us when we visit the family and friends over the holidays, I'm sure they will all love it as much as we do. Have you ever purchased something from Phoenix trading before? If you have I would love to know what you recommend if not I highly recommend you having a mooch on their website, so many gorgeous items on there from games to arts and crafts, they also have stationary and gift ideas. Our favourites are the jigsaws that Phoenix produce. We are a family of jigsaw fanatics and even though the girls are at the older end of the age range they still enjoy doing them. I have been a Phoenix Trading fan for many years now! I love that the company has branched out in to games and jigsaws. Phoenix Trading have kept the beautiful artwork consistent with the brand and not compromised at all on quality! Phoenix Trading is so much more than just exclusive greeting card designs. I love my 'job' as an Independent Phoenix Trader. My four children love the jigsaws, card games and dominoes as much as your Oscar and Lawson do. Enjoy sharing them with with your family and friends.